Note: Key provided by the developer to our Steam Curator, be sure to follow us there. I remember many moons ago, when I was a young man playing endless amounts of Flash games and they all had the same theme, to fight against gravity and pilot some sort of ship to safety and avoid obstacles along the way. 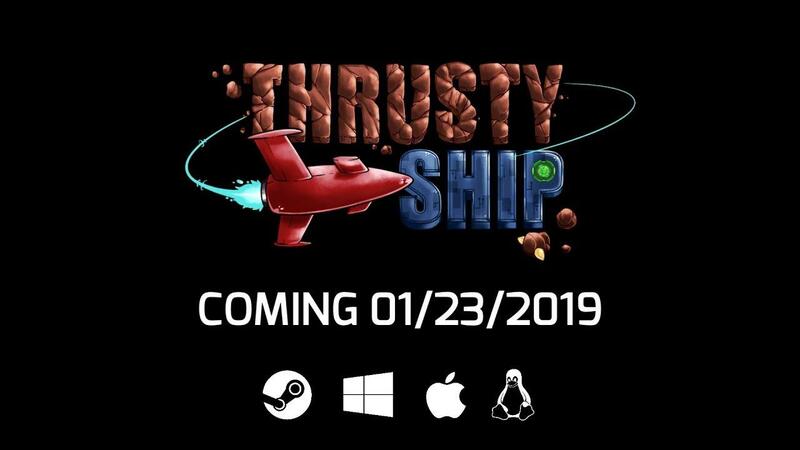 Thrusty Ship is basically an evolution of that same formula, with crispier graphics and decent gamepad support (which is pretty much essential). Honestly, I'm kinda blown away by how addictive it is. While the entire idea is simple, the way the levels are designed along with your constant need to watch your fuel reserves makes it both frustrating and incredibly fun in equal measures. It has a little something for everyone. If you just want to pilot your ship across the seventy something levels, you only need to collect a specific amount of orbs to allow you to land and finish. If you're a completionist, collection more will allow you to unlock other ships quicker and speed-runners can jump on in too with timed trials. Some good, classic fun to be had with this one. It might not look like much, it looks pretty retro and feels so too but it's worth a shot. Find it on Steam. It also has a demo you can try on itch.io.